Living in this world today, we will experience different storms such as downpour, rainstorms, windstorms or thunderstorms and at times we might even face tornadoes, resulting in cyclones which mean notable disasters. Nonetheless, we must not be defeated, but conscious of the fact that there will always be a possibility of us clashing with different battles and at times they will turn into a significant twister. These cyclones periodically leave us wondering where this life is taking us. 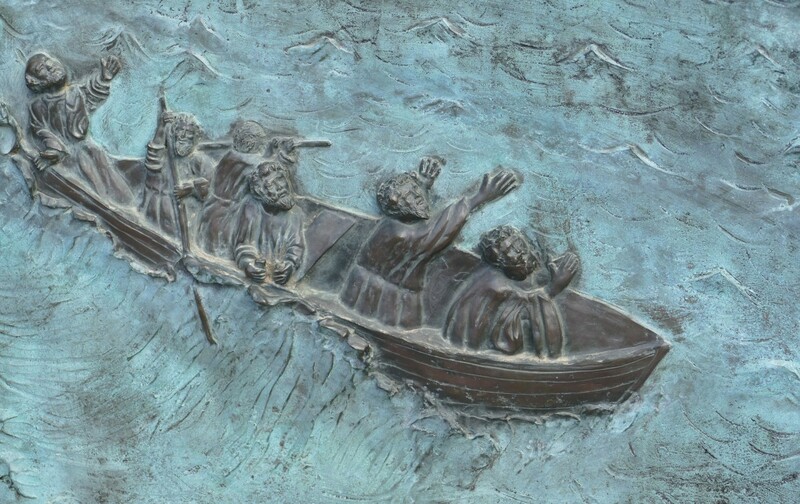 Furthermore, we might even find it hard to enjoy life or continue living during the worst of storms. Because life’s storms have a way of making a lot of us cut the safety net a loose; many people are placing their life on hold to wait for just the right moment before beginning to live life again. It is not easy to know how to continue living during the worst of a downpour. Nonetheless, life is not all about waiting for the storm to pass, nor is it about avoiding it. 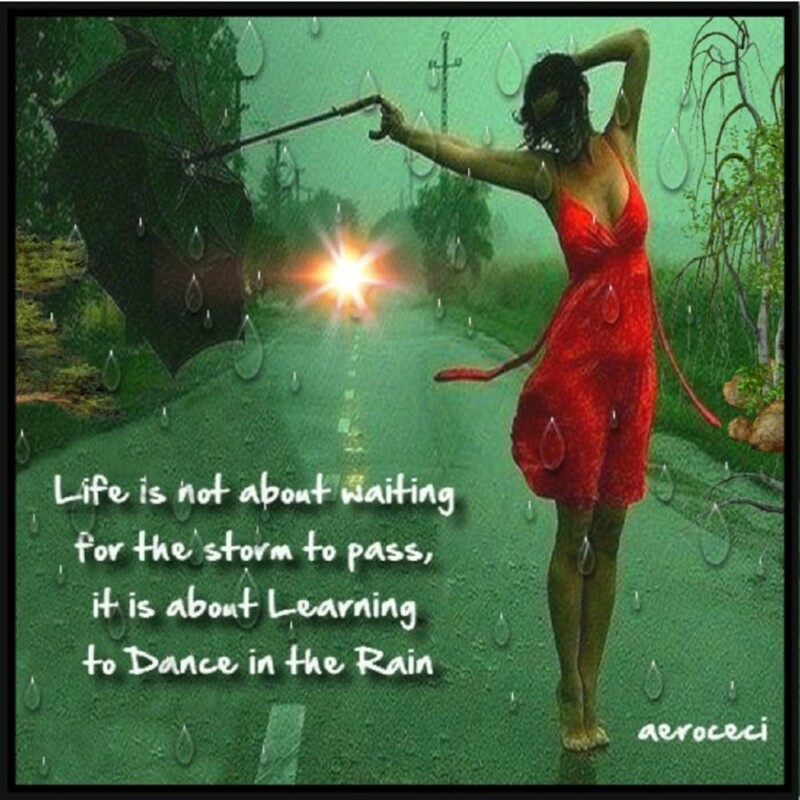 It is about learning how to enjoy living life and discovering ways to dance in the rain in the midst of a rainstorm. 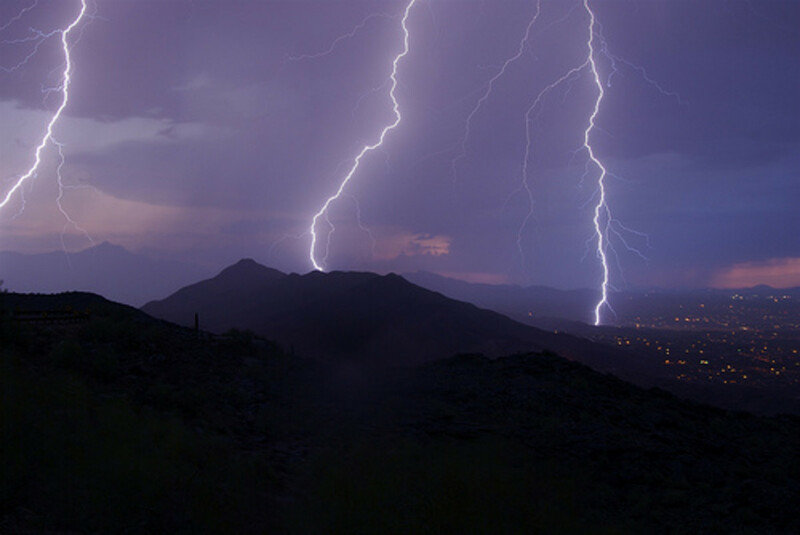 Life is full of storms, and we all will face them as we live life. In reality, there is a possibility there will be one storm after another. In spite of this, it is up to us to take the necessary action for our situation and fix each one separately. Such disturbances we face maybe fierce, and certain one is small, but we have to keep an eye on what is evolving for tomorrow. Thus, it is up to us to accept people and situations as they take place to learn to live with the roughest of weather and even enjoy the inevitable storms of life. We should determine how to deal with the disasters that appear as hurricanes in our lives or how severely the storms that will disrupt our life. Whereas we can choose to hide in the most subterranean tunnels, waiting for the storm to pass or we can continue with our lives, enjoying and dancing in the rain. No one enjoys facing storms, whether he or she is raging as in problems in life or storms caused by natural forces such as weather storms. However, know that every storm can have some advantages. Tornadoes will always be inevitable as long as we live; we will experience heavy shower, problems in life and we must, as a result, always be prepared to face these storms without being compressed down by them. Nevertheless, the big question is how we will arrange to withstand these storms? Know that you get nothing done while you wait; time will pass you by, but with continuing with your life will come ridiculousness, fun, dancing, and laughter but it is your choice, choose wisely. 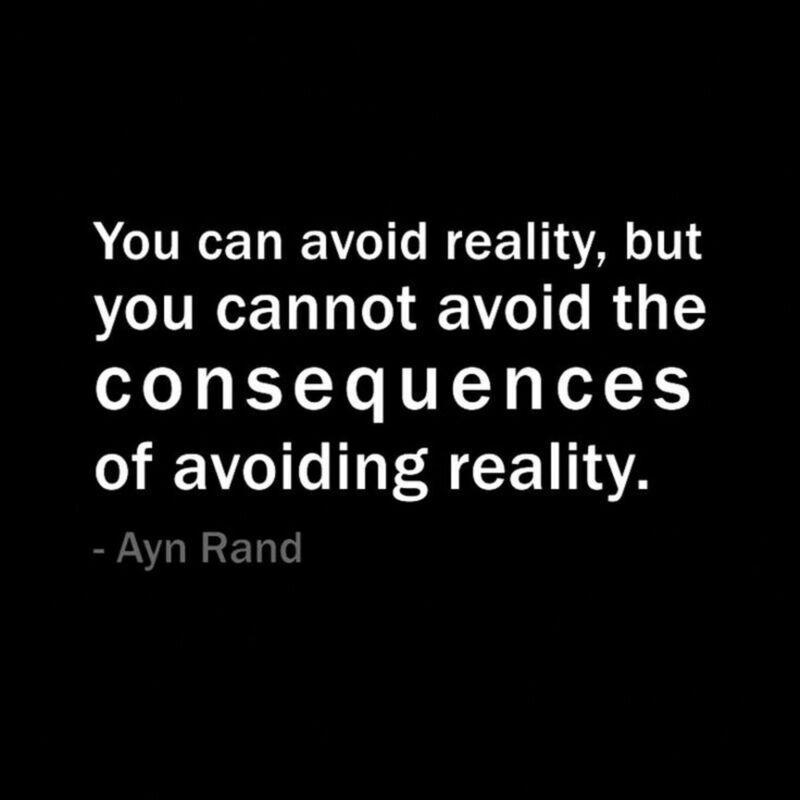 We suffer when we cannot face reality. By not seeing life or a circumstance for how it is. I...am not only giving in to the extra challenges in life. I am also hindering all the opportunities that will come to me. I understand that I am the person who has to take full control of my life, and it is what I make of it. Although sometimes I may be left wondering where life is taking me, I am still left with whatever I choose to allow. If I should decide to let the rain, bring me down it will be through waiting and procrastinating as it is just wasted time doing nothing. Or I can choose to realize life consists of bright light which will bring out laughter despite the surrounding situation. Life can be as beautiful as the sunset. It is meant to be cherished, and that is the choice which I will prefer. How do we face reality? First of all, an individual must have the ability, to be honest with him or herself. Next, they need to be willing to make the necessary, and the severe changes that are required to face reality. Also, the person needs to be ready to face reality, and He or she will need to have a healthy, realistic person in their life to help process the truth. And assist with being able to accept the realism of the certainty in life! There are several ways to start discovering the reality of things. Start by looking at all the essential aspects of your life like your relationships. Is the other person in your life the person who fulfills you? In your time of need is he or she available and there for you? Is there something in you different than your partner understands? Does your partner bring joy to your life and the best out of you? Will he or she tells you the truth about everything or will they say what you want to hear? Facing and knowing the truth is the kind of reality you need in your life. It will bring about the best experience in life you can imagine as most of the time when you do this and accept it; you can face reality. Why is it important to dance in the rain in the midst of a storm? Life is all about struggles, and there will be battles that are beyond our control, that we must deal with on a daily. However, the way we choose to deal with our struggles in life will either build us up or break us down. There are many lessons to be learned when dealing with storms in life. The first lesson to learn is we can have peace in the midst of the storm despite what we are dealing with if we take action in the right way. We must do whatever needs to be done when dealing with storms that come into our life; it is just how life works, as we learn how to enjoy dance in the rain. “Life” isn’t about waiting for the storm to pass signifies: It is not just about focusing on what we have during the enjoyable times; it is about learning how to weather the storm during the regretful times. 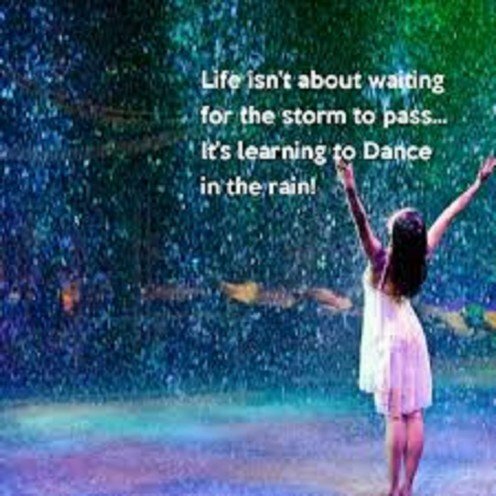 We all go through rough weather, yet, we must take the necessary action to get to dance in the rain. Keep in mind; life must go on in the shower or the sunshine; so we must do whatever we need to do despite the weather. However, take into account that sometimes there is no possible way to prevent the rain from coming, and there is nothing you can do to keep from getting wet. Although it might not be the ideal weather, we still must do what needs to be done. So, if we have to do something, the least we can do is learn how to dance in the rain. This, in simple terms, means that life is full of challenges, and when facing problems, in spite of everything, we can still be happy. It is all in the region of our attitudes and how we perceive the issues, remaining optimistic and distinguishing that things will get better. Make it a point to enjoy life even if it means you might have to make the best to have fun; you will not place your life on hold. It says it is best to refuse to sit down to wait for the storm to pass because sometimes we might forget to get back up out of our chair to continue in life. We will all get tired, so it is acceptable to pause for a break in the weather, but we must get back up and jump right back to what needs to be done. When confronted with an unexpected crisis or some form of tragedy in life, don’t forget there are several ways to deal with the gust of wind to find peace. Whenever an unexpected storm arrives from out of nowhere, and we are unprepared for its life can be very frightening. If you are facing a "storm of life" at the moment, know that the rant and rave of life’s storm contain some hidden blessings. The good fortune will come your way for your enjoyment as soon as you learn the reasons for the storms in your lives. As we live life, sometimes the wind is calm, and the breeze blows softly. However, other times the blustery weather rises, the sky darkens, and we stumble upon a dreadful storm. Maybe you are even in the midst of a horrible storm spiritually or mentally, and all hope has seemed to disappear. 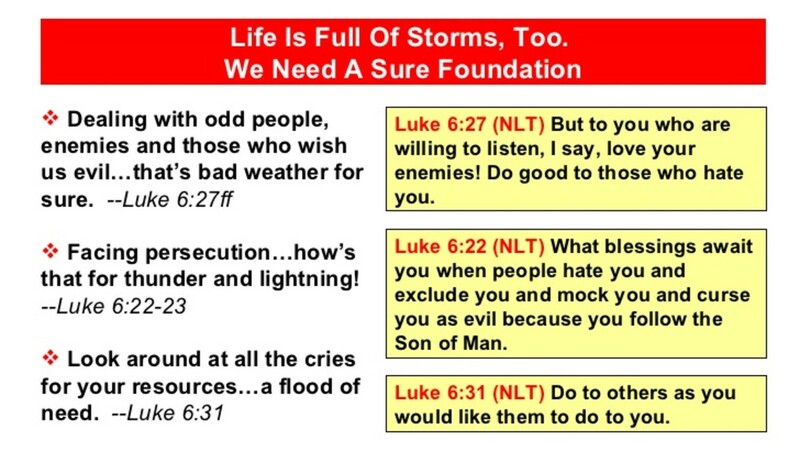 To make sure you face the storm correctly, you need first to realize there are many different types of storms and what needs to be done when taken by storm. Storms can make us stronger. No doubt in life, there will be enjoyable times and regretful times, but if you differentiate between doing nothing, take a moment to consider what, and how that will benefit you. It, like your life, is put on hold where the weather is still thundering and lightning as you wonder how did the storm come up so fast from a direction you did not expect? It is said that storms cause trees to take deeper roots. The same similarity goes to a person who goes through life difficulties. The disturbances in our life will make us do like the tree take deeper roots to be strong enough to keep standing during the storms. People learn how to become stronger during a thick rain cloud raining down on them. It is our responsibility to take on challenges in life, as we must develop a deep root to make sure we stand on a firm foundation. 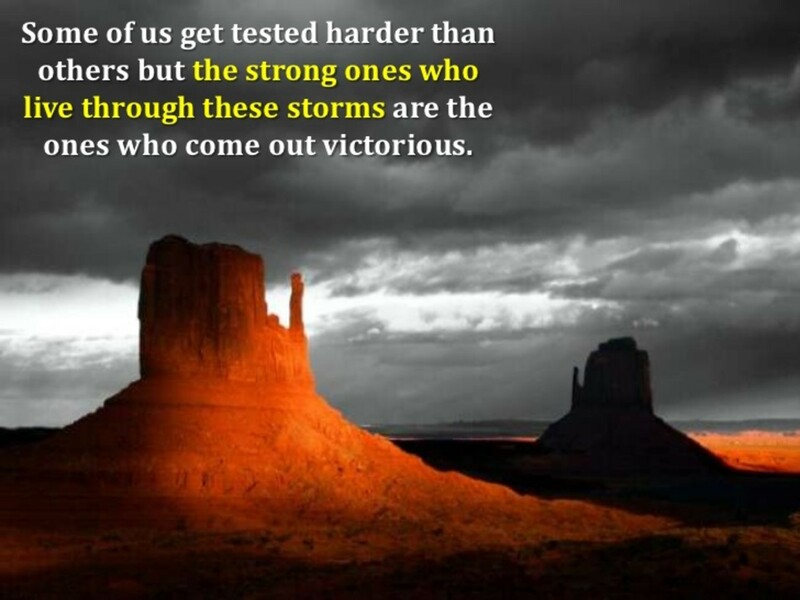 During the most significant storms, our strength is measured. 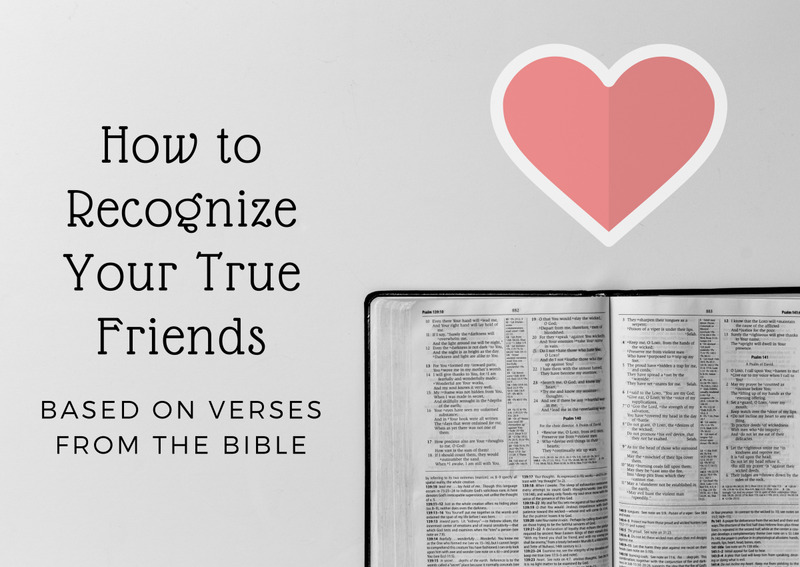 It is then that we need a secure foundation, and if we want a guaranteed foundation to stand firmly upon, we have to ensure that through developing a deeper relationship with Jesus Christ. 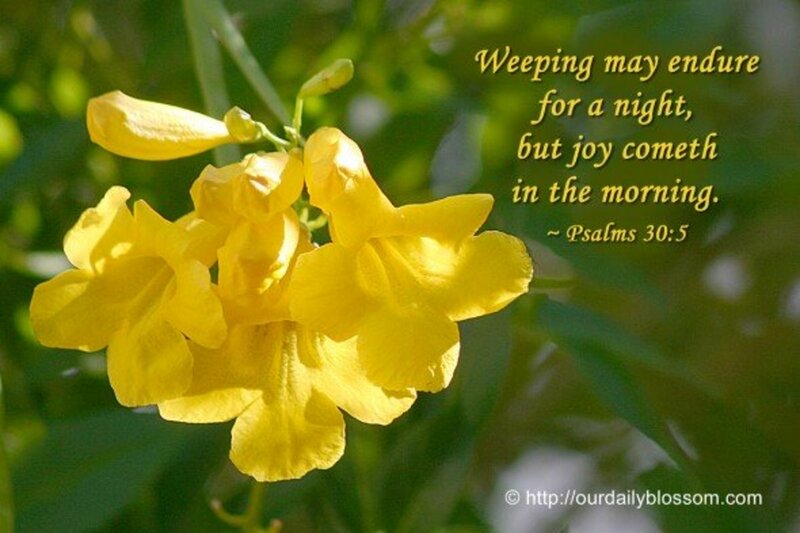 He will carry us through any and every turmoil. The unexpected storms we face in our lives are ‘ruffled ‘unforeseen trials. Although we might be disappointed while it is happening, in time, we will realize that the storms have been for the best. It will have been the best because in facing the storm, you were forced to review your life and decide exactly what needs to be done in your life. Most times, what is being removed from your life is getting out of the way for something better in store for you. It will also give you an opportunity to take the time to learn and put your abilities into perspective and begin living God’s purpose for your life. Throughout a very challenging storm, we will get tired. If you are tired, it is acceptable to sit down, to rest during the storm, but do not forget to get back up so your life can move forward. Take a moment to consider where are in life as you might have paused for a break in the weather, but never forget to get back to whatever opportunities life has to offer. Life is not all about waiting for the storm to pass over as we all have to learn to deal with the wind, the rain, and even the tornado through living and learning from the annoyances life offer. It is up to us whether life-threatening challenges can be severe and full of darkness or whether we find the well-lit light from the dark. Different problems we do not like will happen every day which we can take in a variety of ways. A storm can bring about the wetness, but we can decide to embrace the rain by learning to dance in it, or we can make it much harder by procrastinating, or just wasting time by doing nothing. However, bear in mind in the midst of the worse of storm, Life isn’t about waiting for the storm to pass… It’s about learning to dance in the rain. 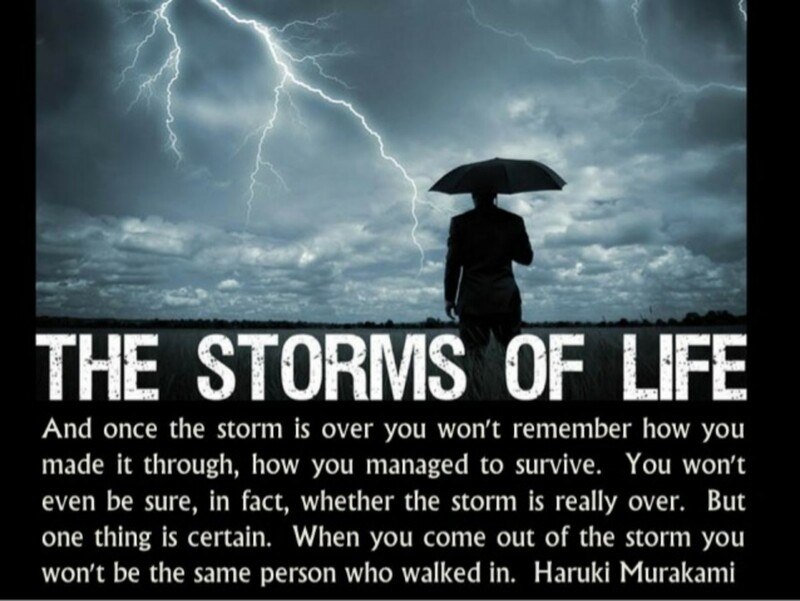 Have you suffered from a storm in your life? What was your approach? Yes, I decided not to wait for the storm to pass but to find ways to dance in the rain in the midst of my rainstorm. Yes, I decided to wait for just the right moment before beginning to live life again. Yes, it was hard to enjoy life or continue living during the worst of storms. To be able to survive in turbulent times you must be one of the people to keep an eye on what is evolving for tomorrow. 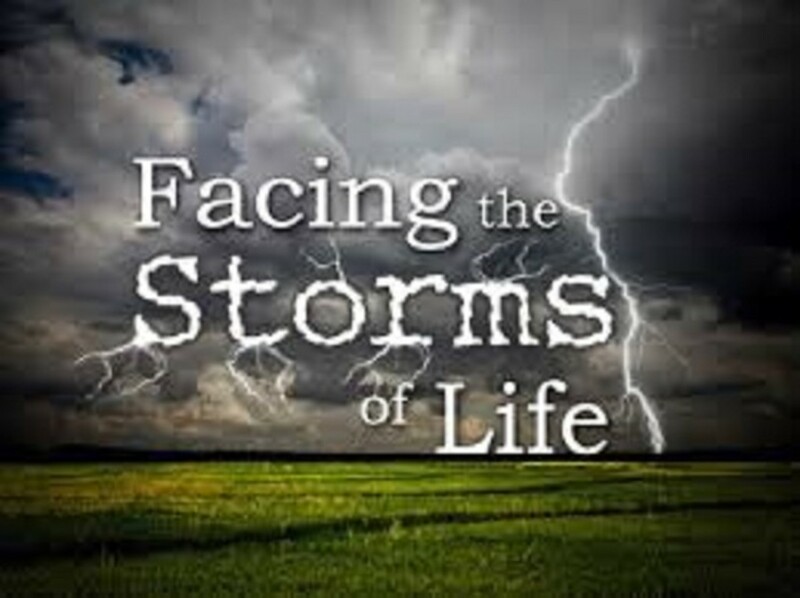 Life is all about struggles; we all go through rough weather, yet, we must take the necessary action to prepare for the storm entering our life. The first thing to learn when going through a storm is we do not have live in fear; we can still have peace in the midst of the storm despite what we are dealing with. Especially when we take action in the right way. Obviously, we all prefer the tranquility and prosperity of "good times.'' However, the storms will rise, and It is not easy to know how to continue living during the worst of a downpour. We must always be prepared to face these storms without being compressed down by them. When confronted with an unexpected crisis or some form of tragedy in life, don’t forget there are ways to find peace and deal with the gust of wind. Whenever a storm takes us out of the blue, we can prepare and live without living in fear. Adaptability is the real issue. 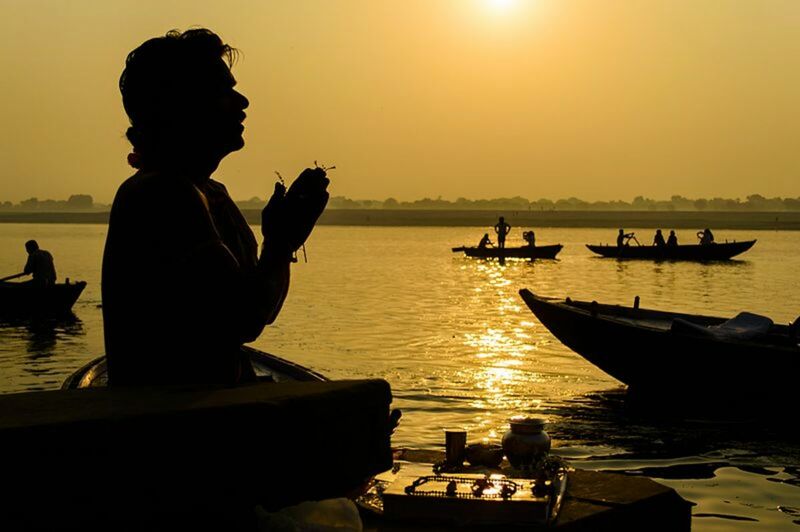 How do we adapt to – and navigate through – the conditions in which we are going through in life. Can we thrive in chaos? Yes, we can succeed when we face different chaos that comes into our life. Surviving the storm may require you to prepare to slip out of the restraint that are holding you down. To live a healthy life with out fear during a storm; we should make sure we face the storm correctly and know there are many different types of storms. We must do what need to be done when taken by storm. God knows when we are in need of... even the smallest most (what may seem insignificant; details) His ability to see into that "smallness" is the TRUE power of God... when we need Him , how we need Him, and with whomever, or whatever way He decides to move!!!! Thank you Laurinzo I appreciate you following me, and look forward to hearing more from you. You have that the correct answer for a funnel cloud is a thunderstorm. I thought that it was a tornado. You also have that a tropical storm is a thunderstorm. I thought it was a hurricane. I agree with you dealing with the unknown are hard especially when you do not know what may happen next. Nonetheless, we still have to face our storms head on to live a happy life. Thank you so much for the heads up on the quiz, it makes sense to me but I will check. I think that the most difficult part about the storms in our lives, is that we are dealing with the unknown. We don't know what will happen next and where it will come from. You mentioned that we need to be flexible, and accept what happens, and live our lives happily in spite of the difficulties that we face. This is probably one of the most difficult things there is about life! NOTE: you may want to check the responses on your quiz. There appear to be a couple of answers that do not make sense.